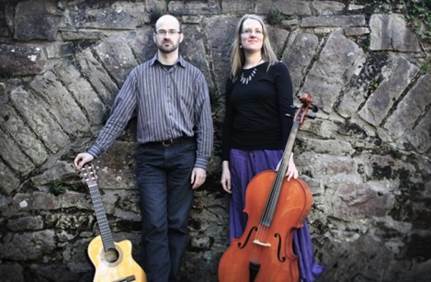 The duo’s repertoire includes Donald’s traditional and original songs from his native Scotland and Rebecca’s insightful Australian originals and contemporary covers. Accompanied by requinto, cello, acoustic guitar and bodhran, they promise something out of the ordinary, bringing you back to the heart of folk. Rebecca met Donald while touring in the UK and soon found herself living in Scotland, immersed in traditional Scottish music and culture. Since joining their songs and lives together, Rebecca and Donald have toured in Scotland, New Zealand and Australia. They recently released “Over Burns and Braes,” the follow-up to “Joys that never weary” (2012), both produced by Pix Vane-Mason at Conondale. The August 14 concert starts at 2pm with an opening set by hosts Bob & Laurel Wilson. Tickets are $15/$12 and afternoon tea will be available. Bookings are essential. Call Bob on 0438 525 119 or email goodwills@ozemail.com.au. Goodwills’ house concerts are sponsored by the Queensland Folk Federation. Date claimer: Goodwills’ house concert with Fred Smith, Sunday October 16.